Having a pool in your backyard can add a sense of luxury in contrast to neighbors. In those hot summer months, swimming pools provide relief from the elements and a place for relaxation. For the DIY homeowner who wants a break from work on the weekend that luxury has it’s downsides. For example, properly maintaining a swimming pool week after week can become expensive. 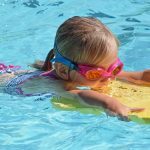 Fortunately, the pool maintenance experts at Shoreline Pools have vital tips for pool owners looking to reduce their maintenance costs without sacrificing summer fun. There’s no getting around it; every pool owners should invest in a swimming pool cover. While they may not seem appealing, they’re an essential component to keeping pools clean and lowering service costs. Most pool owners know that pool covers reduce the amount of debris and foreign objects from falling into your pool. By reducing dirt and debris, you won’t need to vacuum as often, purchase as many cleaners, or even empty and refill the pool water as often. Pool covers not only reduce the time you spend maintaining your pool, they directly lower operations costs, too. But did you know pool covers help reduce chlorine dissipation? 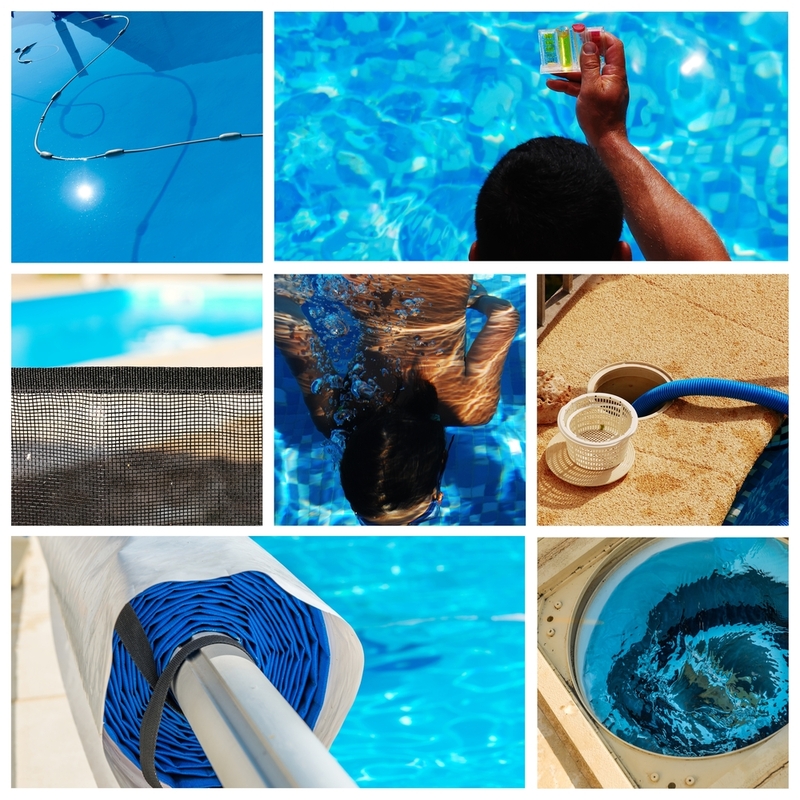 Covers work to reduce the amount of UV rays hitting the water, thereby lowering the cost of replacement chlorine. Moreover, pool covers help reduce evaporation, which keep those water bills low. As a pool owner, you can avoid major damages by investing in a pool pump. Pool pumps can help minimize possible damage, future refurbishing, or renovations over your pool’s lifetime. Any well-built pool should include a pool pump to sanitize and filter water. Over time, unclean water can be harmful to your health, while simultaneously damaging your swimming pool. Rather than paying an absorbent amount of money to routinely clean, empty and refill your pool water, consider purchasing a product that will keep your pool clean, fresh and visually appealing. Every homeowner with an in-ground pool can expect to pay for insurance. While insurance costs can increase your annual premium, they provide the protection necessary for unforeseen accidents. Assuming you have the correct coverage, liability for expenses resulting from accidents and injuries should fall under the carrier’s coverage. Keeping a pool insured isn’t simply prudent, it’s an absolute. Proper pool can lessen the chances of injury by implementing these small safety adjustments to better protect their family, guests, pets, and others. Pool Supervision: Appoint a person to monitor swimmers and poolside guests during all pool activity. If your children or their friends are active in the backyard, it’s important to monitor their actions in relationship to the proximity of the swimming pool area. Add Fencing: Certain town ordinances require fencing around every pool. Installing a fence around your swimming pool will help prevent young children and pets from using the pool unsupervised. For maximum protection, install a fence that is between 4-5 feet high. Install Pool Alarms: Alarms can now alert homeowners of activity not just on the premise of their home, but also around their pool. Installing alarms to the gates around the pool and in the pool helps prevent accidents among young children. Alarms can be set up to sound and send notifications to phones, tablets, and computers the second there a gate opens or an object hits the water. A well-maintained pool will help lower costs and offer more consistency. Keeping up with the maintenance of a pool reduces any problems down the line that end up costing you. Take care of your pool equipment. Cleaning the pool pump routinely will avoid the chance of it getting clogged. Similarly, do not leave equipment in direct or harsh sunlight or floating in the pool. Make sure to clean your equipment after each use to avoid contamination. A properly maintained swimming pool can be the heart of your backyard attracting family and friends while offering a place for fun, relaxation and social interaction. Owning a swimming pool requires additional responsibility, but nothing unfeasible. By following the proper steps, you can reduce the cost, time or season-ending fixes. Are you spending unnecessary pool costs? Contact a Shoreline Pools service professional today to access the condition of your pool equipment.